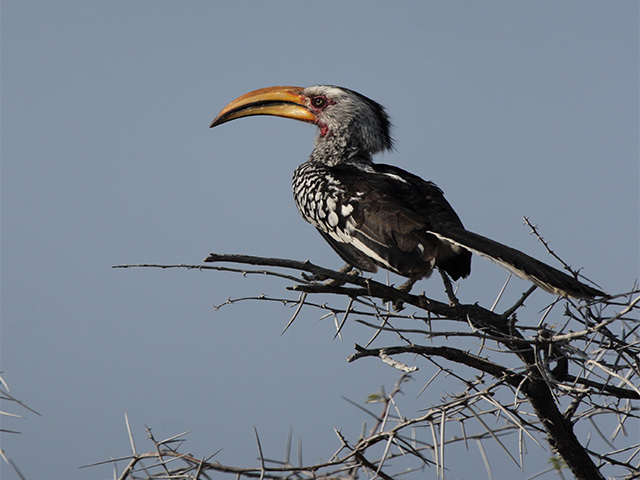 Indulge in luxury in the rugged wilderness of Botswana! Visit the stark landscapes of Makgadikgadi saltpans. Go on a quad bike ride to Kubu Island and move on to track ancient trails alongside mighty Baobab trees. 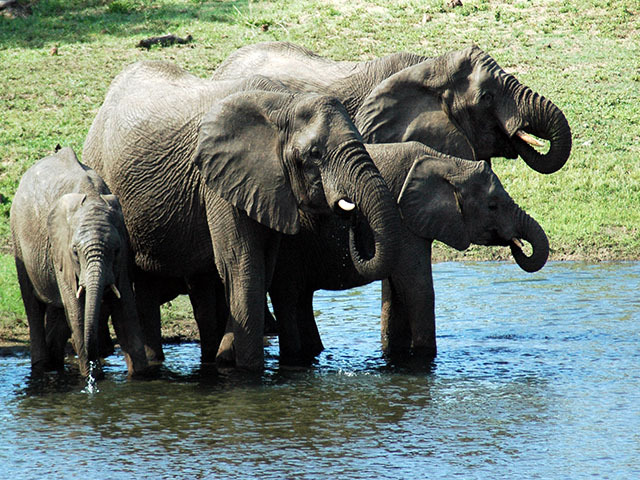 Wildlife experience gets a luxurious twist in your Botswana holiday! 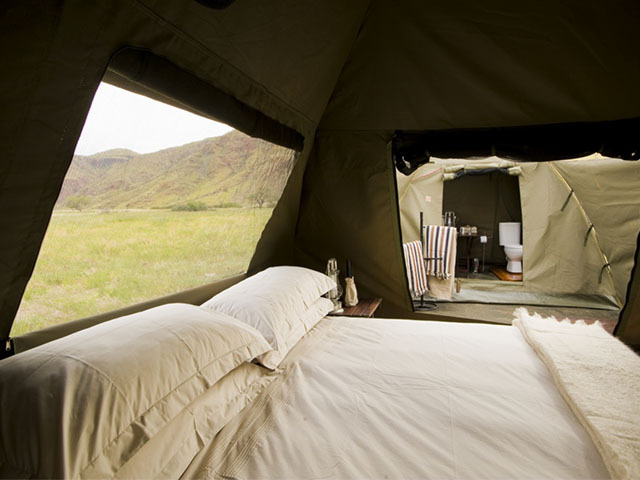 Spend one night at Jack’s Camp in a stylish canvas tent with an ensuite bathroom (that features an indoor and al fresco shower) and a private veranda. Today, you’ll have the opportunity to visit Kalahari’s charismatic meerkats. Get up-close-and-personal with these captivating creatures. On chilly mornings, you might well find a meerkat snuggling up to you for warmth or, in the absence of a termite mound or tree, using your head as a sentry lookout post. After a fun-filled morning learning about the quirky characteristics of the meerkats you will be taken to a remote cattle post to learn about the traditional culture of the Botswana people and enjoy a scrumptious picnic breakfast. Afterwards you will venture to the renowned Chapman’s Baobab (also known as the Seven Sisters), which is acknowledged to be the largest tree in Africa, and was the campsite of early explorers like Livingstone and Selous when they pioneered the area. In the afternoon you will have the opportunity to see one of Africa’s rarest carnivores — the brown hyena. This adventure has been made possible due to a PhD research programme that will allow you to view habituated cubs and their social behaviour without disturbance. An adventure-filled day awaits you as you tuck into an early breakfast before hopping onto a quad bike for your journey across the Ntwetwe Pan for Kubu Island. The journey to and from Kubu is completely extraordinary as you travel in convoy, ensuring the least impact to the surrounds, as you barrel across the vast lunar-like landscape of the pan. A well-deserved and refreshing picnic lunch can be enjoyed en route. You will arrive at Kubu Island — a mass of granite, studded with ancient baobabs and renowned as one of the most graphically beautiful destinations in Botswana — in the late afternoon. Spend two nights on Kubu Island in a fly camp, where you can unwind in a comfortable bedroll (with hot water bottle and comforters) and sleep under a blanket of stars. The next two days are dedicated to exploring the island and its surrounds. Not far away is an ancient fortification that provides awe-inspiring vistas of the enormous Sowa Pan. You can also venture to the extinct mouth of the mighty Zambezi which, together with various other rivers, once flowed into the Pans. The rest of the beach is covered with beautiful water-worn pebbles amongst which you can find semi-precious stones. Kubu is close to what is probably the biggest greater and lesser flamingo breeding site in the world — if you arrive in the wet season you may be lucky enough to come across a flock of up to 30,000 flamingo. After two days of exploration you will venture back across the pans to Jack’s Camp where you can shake off the desert dust and enjoy a comfortable night’s stay. Today you will have the opportunity to spend the morning on a guided walking safari with Zu/’hoasi Bushmen trackers. 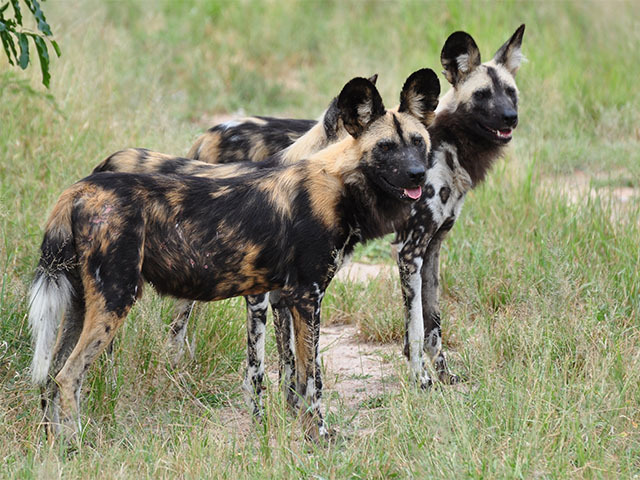 The trackers will teach you some of their skills that have enabled them to survive in the wilderness of the Kalahari. After returning back to the camp to freshen up for a quick lunch, wave a fond farewell to the desert as you are driven back to the Tsigaro airstrip for your light aircraft flight to Maun International Airport.